Compare and Switch to Lower Connecticut Electricity Rates! As a Connecticut resident or business, you have the opportunity to choose a competitive electricity supplier to generate your energy supply at a lower rate instead of using CL&P or UI for all of your energy needs. Connecticut’s deregulated market has been one of the most successful in the country resulting in millions of dollars in savings throughout the state by residents and businesses. It is easy to switch to a new supplier and it has many benefits. There are no fees to switch, no interruption in service and you will continue to receive the same bill from your utility. The utility also continues to handle delivery and maintenance services for all Connecticut electricity customers. There are several competitive suppliers in Connecticut providing lower rates to choose from and will help you lower your electricity bill. You can select from fixed rates, variable rates, promotional rates as well as renewable energy plans. Compare Connecticut electric rates now. 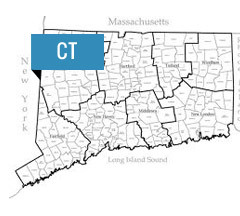 Since 2000, Connecticut has had a deregulated energy policy providing a competitive marketplace for electricity supply. During the last decade, Connecticut has seen enormous growth and success with energy deregulation. There are now approximately twenty suppliers to choose from and upwards of a million residents and businesses in Connecticut have taken advantage of switching suppliers to lower their electricity supply costs. As of 2014, supply rates with Connecticut Light and Power and United Illuminating have greatly increased versus previous years and continue to drive customers to switch to lower rates with competitive suppliers. As a CL&P or UI customer, your electric bill is divided into two major sections: delivery and supply (or generation). Deregulation provides the opportunity to switch the company you use for the supply portion of your bill. There are many competitive Connecticut electric suppliers that can provide your electricity supply and offer various rates including fixed, variable and promotional. As a Connecticut electric customer you have the option to select an electric supplier if you want. The delivery portion of your bill remains fully regulated. All residential, small commercial, large commercial and industrial customers in Connecticut can switch suppliers. Compare electric rates in Connecticut or Receive a Commercial Quote.